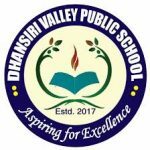 Applications are invited for Dhansiri Valley Public School Recruitment 2019 : TGT Post. Applications are invited from eligible candidates for the following position for engagement in various posts at Dhansiri Valley Public School, Numaligarh, Golaghat. Location: 1.no. Parghat. P.O Numaligarh. DIST- Golaghat. P.S – Kamargoan, Assam 785615.